Certifications – The best professional Home Stagers engage in ongoing education to stay abreast of the latest color and interior design trends. What they do is not a “hobby”, but rather a proven system for helping homeowners and Realtors get their homes sold. Visit our “About Us” page to see our certifications. Don’t leave choosing the right Home Stager up to chance. 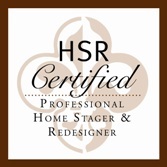 Do your research and choose the right stager/staging company for you. Call Design Rewind today at 512-417-2876 to see how WE can help YOU sell your home!